Rescue workers cleaning up the zoo in the Georgian capital, which was hit hard by a massive flood earlier this month, have found one of its missing penguins alive. The bird was hiding in the zoo, in the debris of the predators’ enclosure. 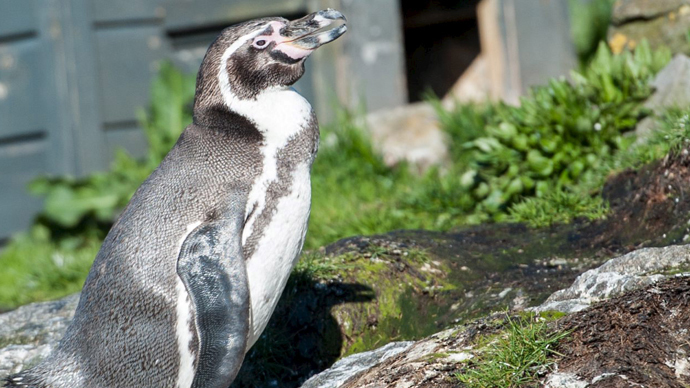 It appears to be the tenth of the zoo's 17 penguins found alive after the devastating flooding on June 14. The Kura River, which passes through the city, broke its banks and flooded the Tbilisi Zoo, causing over 30 wild animals to flee, among them a hippo, seven bears, six lions, six tigers, jaguars, 13 wolves, several hyenas and others. The disaster took the lives of 19 people, while three more are missing. It also resulted in the deaths of over 300 animals. Another bird was found alive last week – an indefatigable African penguin who managed to make it as far as the Azeri border – a trip of some 60km downriver – before being picked up in a dragnet by the authorities. It was sent back to Georgia on Sunday. Hundreds of animals died during the heavy flooding. Those who escaped the zoo, a hippo and a crocodile among them, prowled the streets of Tbilisi. Georgian security troops responding to the escape shot some wild animals, but were severely criticized by local residents and zoo authorities who said there was no such need. Last week, a runaway tiger was shot dead in downtown Tbilisi after it killed a man working on disaster relief. Georgian police are still searching for another tiger and a hyena believed to be at large.